Nevada City plays host to some of the most spectacular and diverse recreational opportunities in the country. Known for its world-class mountain biking, kayaking and winter sports offerings, visitors from around the globe travel to Nevada and Sierra Counties to participate in their sports of choice at all athletic levels from beginner to professional. 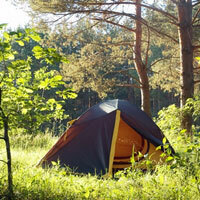 There is no finer place to set up a base camp for some fishing in the Sierra Nevada than Nevada City. Depending on where you go and during what season, species range from rainbow or German brown trout (with some steelhead, brook and mackinaw) to bass, kokanee salmon, and pan fish. 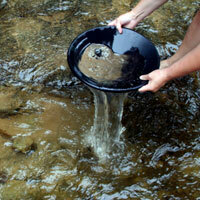 If you know where to look, it’s not hard to find gold in Nevada County rivers. Some of the most accessible gold panning locations are on the South Yuba River at Bridgeport, Edwards Crossing and Washington, and on the Middle Yuba River at Oregon Creek. 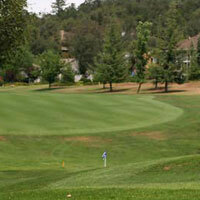 Golfers enjoy two public courses and three semiprivate golf courses in the general Grass Valley-Nevada City area. 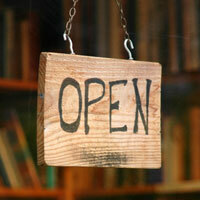 Local courses are open year-around. Dozens of other choices, offering a wide range of golfing options, are located within an easy hour’s drive. 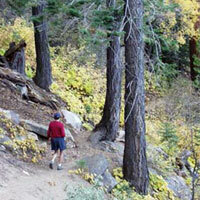 For hikers and walkers, the Nevada City area offers a trail for every taste, age and ability. Short hikes are found near town, others meander through the nearby South Yuba River canyon, and high country hikes are found in the Tahoe National Forest and Grouse Ridge Lakes Basin. 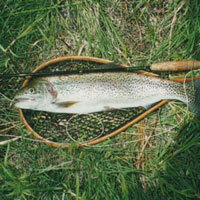 Nevada City is considered the central hub of the West Coast for water sports enthusiasts of all types. Known as a world-class white water destination with an abundance of class-1 through class-5 offerings, Nevada City is a short drive from the Yuba, American, and Bear rivers. 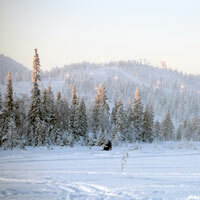 Enjoy picturesque mountain lakes surrounded by deep green forested mountainsides. 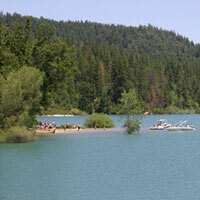 Nevada City is close to Scotts Flat Lake, Rollins Lake, Englebright Lake, and Bullards Bar Reservoir. 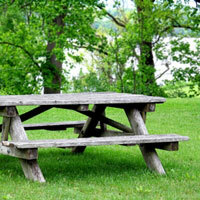 You’ll find campgrounds, stores, marinas, bait and tackle shops, gas, fishing piers, and beaches. 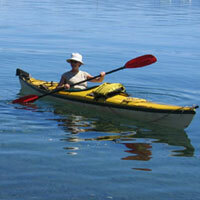 Are you interested in renting a kayak at Scotts Flat Lake? Do you need to have your mountain bike serviced? Nevada City has a number of local shops that specialize in gear and clothing for the many sports and activities found in the Sierra foothills. Welcome to mountain bike country! 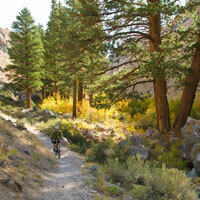 For mountain bike riders, Nevada County is a year-round playground. 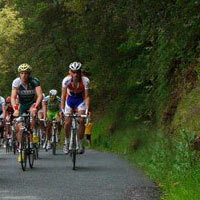 Lush forests, rivers and lakes provide the backdrop for a pleasant cruise or a healthy cycling workout. The Tahoe National Forest contains over 750 miles of motorized compatible roads and trails for OHV participants of all types and levels of experience. Motorcycle and quad riders enjoy the summer months while snowmobile riders have a large choice of trails in the winter months. 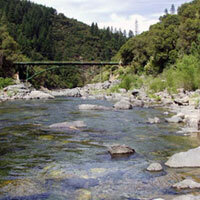 California’s first river corridor state park takes in 20 miles of the South Yuba River. The Empire Mine was once California’s richest gold mine. Today, it is a state historic park where visitors can relive the history of the Gold Rush. Nevada City is usually below the snow line but it’s close enough to be atop a world-class mountain in less than an hour. The closest ski resorts are 45 minutes east on Donner Summit. Another 15 minutes will take you to the resorts in the Lake Tahoe region. Nevada City is home base for one of the most spectacularly beautiful stretches of river in America, the Yuba River. With its gushing waters, deep emerald swimming holes and forested natural beauty, the river is central to the lives of many Nevada County residents. 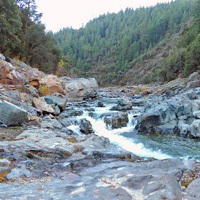 Wilderness camping is permitted on the South Fork Yuba River near Nevada City along a 4.4 mile section of the South Yuba Trail as it follows the shadier south side of the river from Edwards Crossing down to Purdon Crossing.